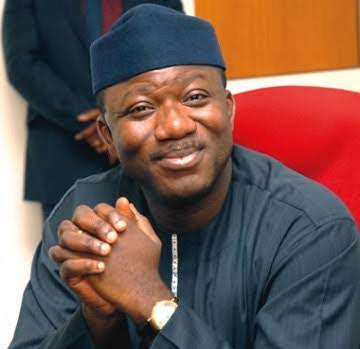 Amidst heavy security, former Ekiti State Governor and Minister of Mines and Steel Development, Dr. John Kayode Fayemi emerged the winner of the rerun All Progressives Congress (APC) primary in the state. Fayemi scored 941 to defeat Oni who came distant second with 454 Votes. New entrant to Ekiti politics, Kayode Ojo scored 245 votes. With this result Fayemi who was believed to be coasting home to victory last week before the primary was disrupted confirmed his popularity among the delegates other 32 aspirants that failed to reach consensus among them. Before the final announcement of the result some APC faithful were seen jubilating on the streets of Ado Ekiti shouting JKF. The election, which was held inside the expansive Damlek hall in Oke Ila area of the Ado Ekiti, saw 2,326 delegates accredited out of 2,618 expected to vote for the 33 aspirants that stood for the election. Though the Special Adviser to the Vice President on Political Matter, Senator Babafemi Ojodu had earlier announced withdrawal from the race, but the Chairman of electoral body and Governor of Nassarawa State, Tanko Al Makura said Ojodu’s withdrawal was not known to the process because his committee did not receive any instruction to that effect from the National Working Committee (NWC) of the party. Ojodu scored 10 votes. There was a slight change in the electoral panel as Aliu Mogaji who stood as its secretary last week was replaced with Robert Okuegbwu, who became secretary and Returning Officer. No fewer than 6,000 security personnel were deployed to avoid the repeat of last week’s botched primary scuttled by hoodlums. Police source disclosed that 3,500 regular and mobile policemen were deployed for the primary, while the Ekiti State Assistant Commandant of the Nigeria Security and Civil Defence Command (NSCDC), Hammed Muhammed Jeda said that 2,000 of his men were deployed for the election. There was also a large presence of operatives of Directorate of State Security (DSS), men of Nigeria Customs Services (NCS), Vigilante Group of Nigeria and other para-military outfits that cordoned off roads leading off to the voting Centre. Roads passing through the Oke-Ila were blocked throughout the voting period with police dogs that scared many hoodlums away. Immediately after voting exercise, Al Makura went outside to check the security arrangements and urged them to be alert as sorting of ballot was about to commence. For proper arrangement and change of venue heavy downpour that scuttled security arrangement at the last botched exercise would have repeated itself as it rained for several hours yesterday. But the hall was heavily protected as movement within and outside was curtailed. Even newsmen that entered the hall by 7.30am were not allowed to go out till the end of the exercise. So also, aspirants were not allowed to leave the hall and security formed a ring around the ballot boxes to avoid repeat of what happened last week. But delegates were asked to leave the hall immediately after they cast their votes. Their delegates tags were collected from immediately after voting and were led outside the hall leaving the agents and aspirants to watch over the ballot boxes manned by security agencies. Al Makura had before the commencement of the election promised the aspirants credible election they would all be proud of.